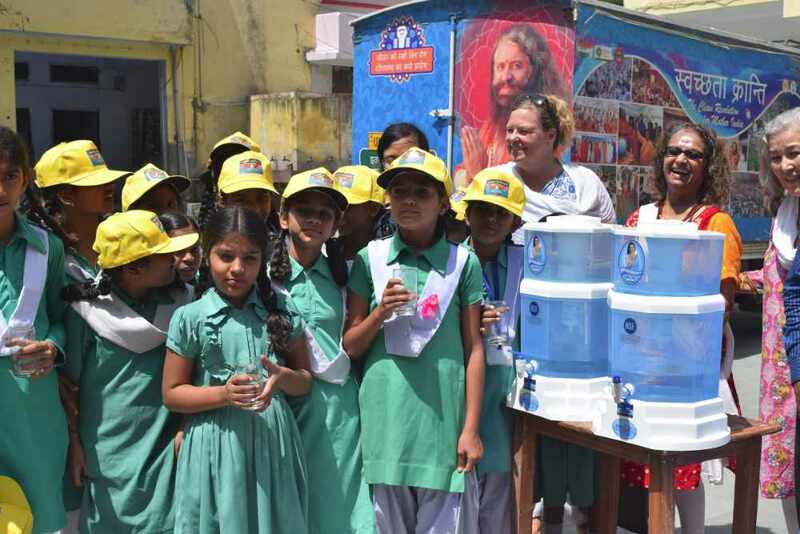 Every day, some 1,200 children in India die due to the lack of access to clean water, sanitation and hygiene (WASH). 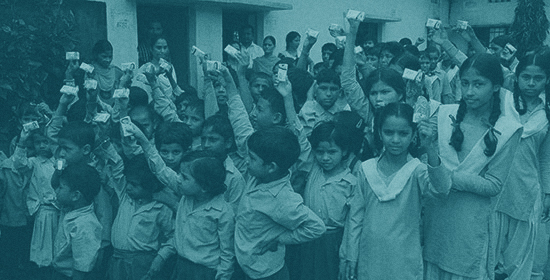 Millions more will become seriously ill every year. 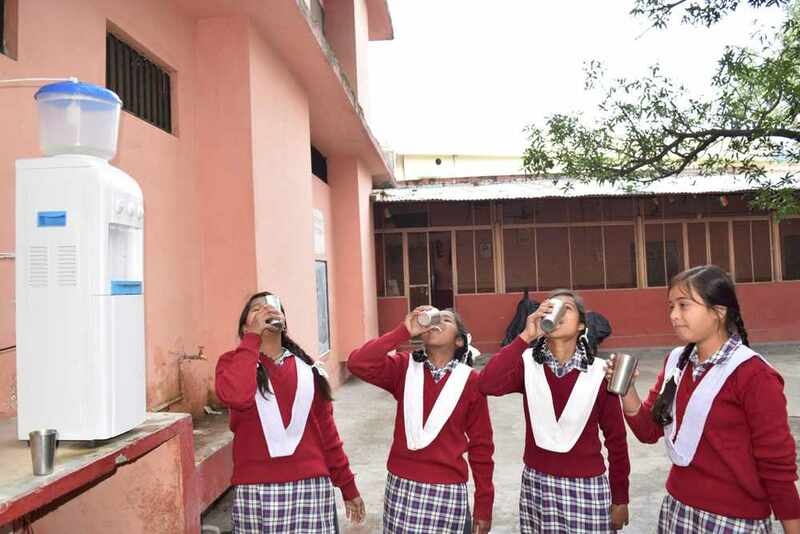 Lack of proper sanitation is responsible for numerous diseases and deaths in India each year, and lack of toilets is a key reason why some 24% of girls in India will drop out of school as they reach puberty. 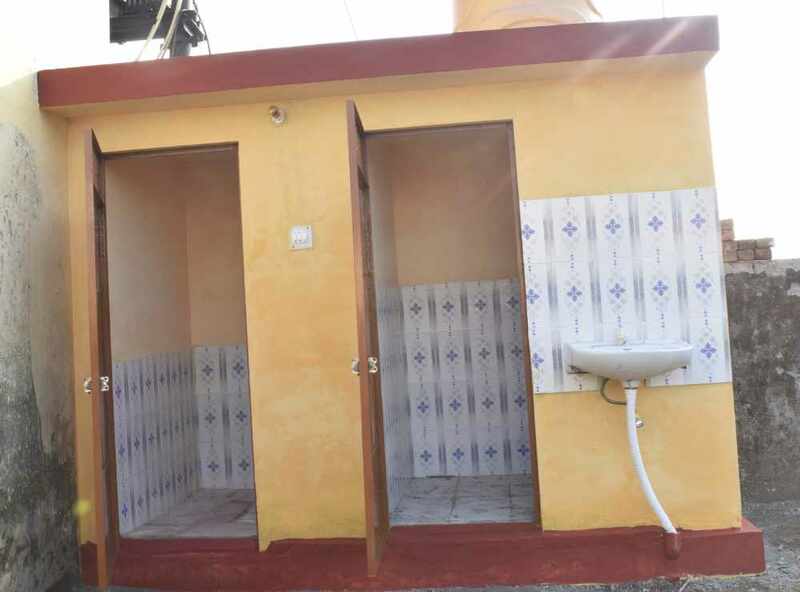 Often toilets in schools, if built at all, lie in complete neglect, and are so stinky and filthy that even users would prefer to go anywhere else but in those toilets. 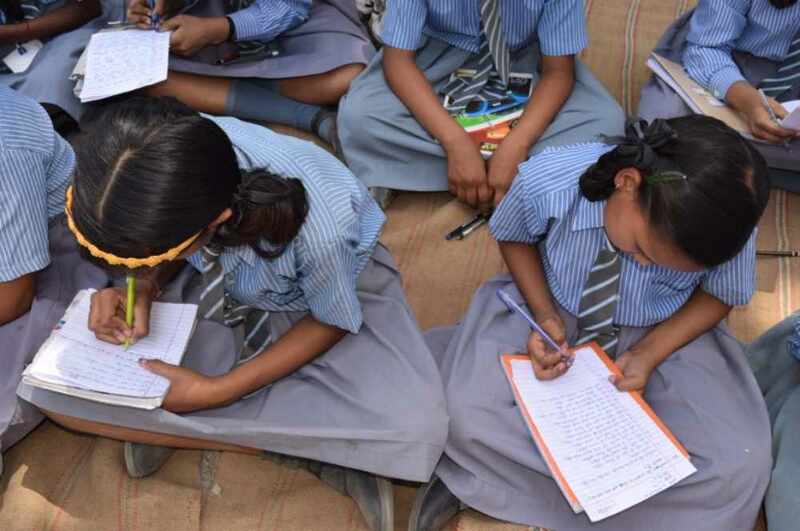 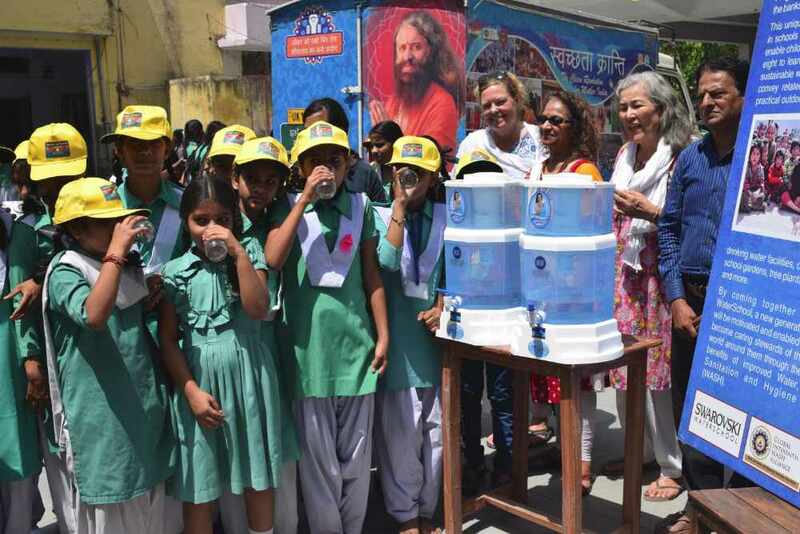 For these reasons, Divine Shakti Foundation and Global Interfaith WASH Alliance is working to bring proper WASH facilities to schools, women’s centres and villages. 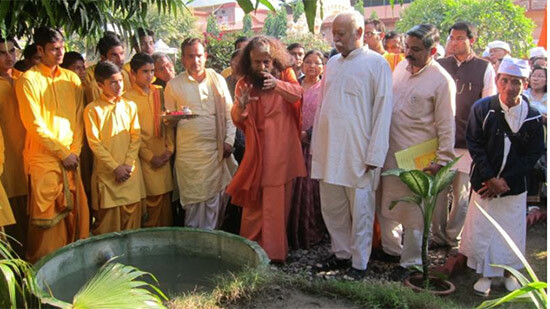 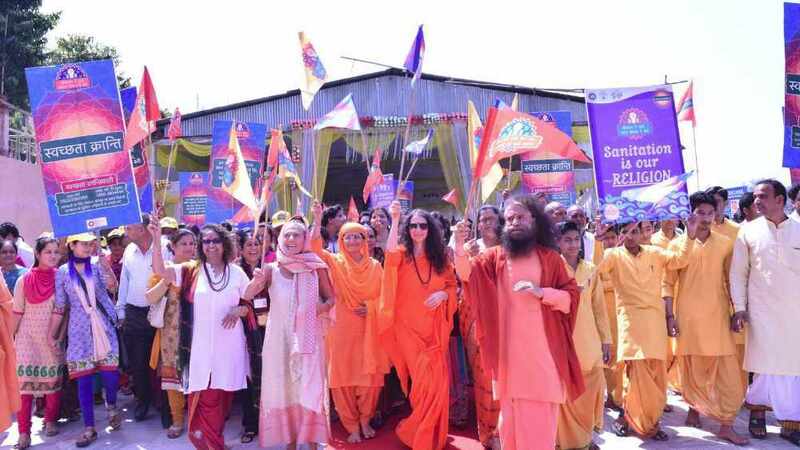 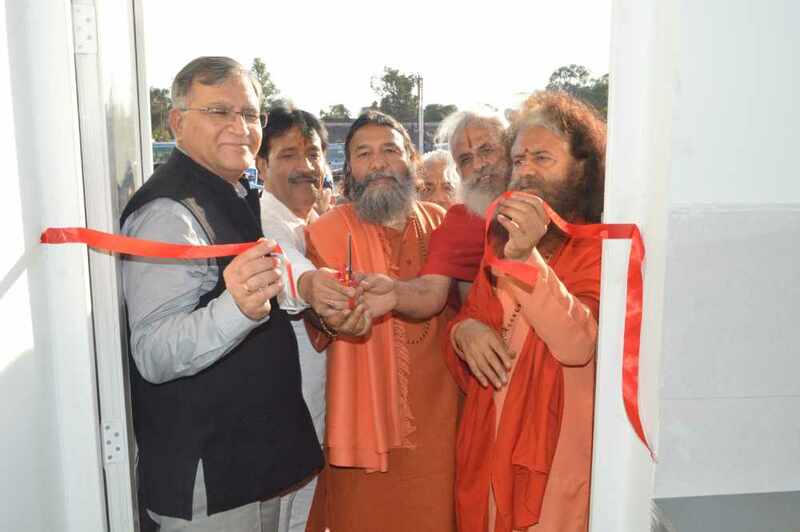 Pujya Swamiji’s innovative approach to spirituality illustrates that while temples are needed to purify our thoughts, toilets are required to purify our bodies. 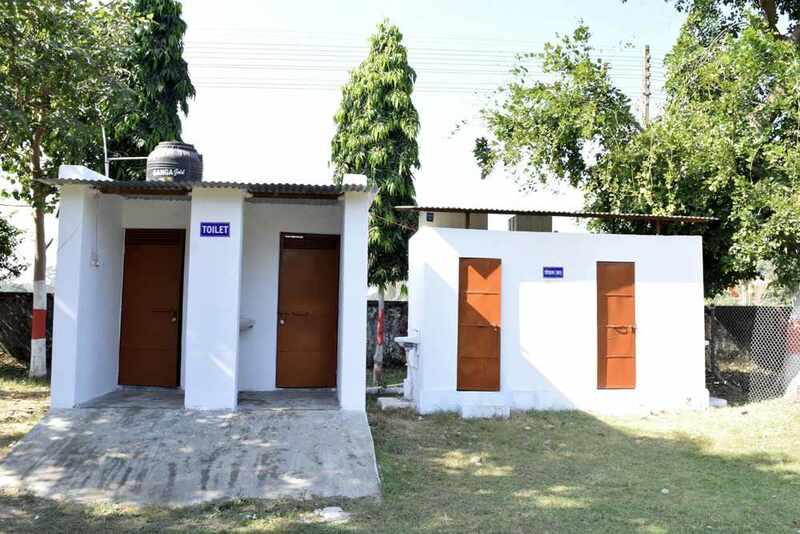 Today the need has become not only for toilets but for bio-toilets in which the wastewater and material generated can be converted into methane gas, and its treated water can then be used to irrigate the soil. 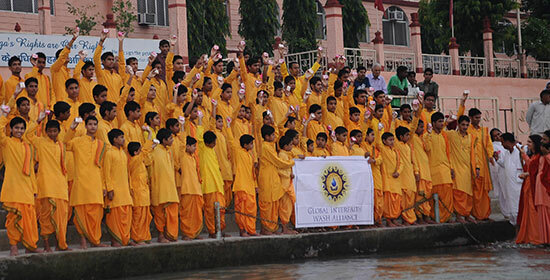 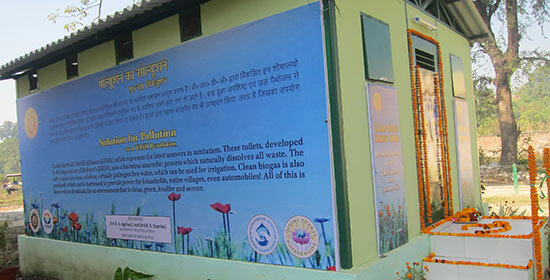 DSF and GIWA’s unique WASH initiative works to bridge the gap from soil to soul, thereby moving from temples to toilets. 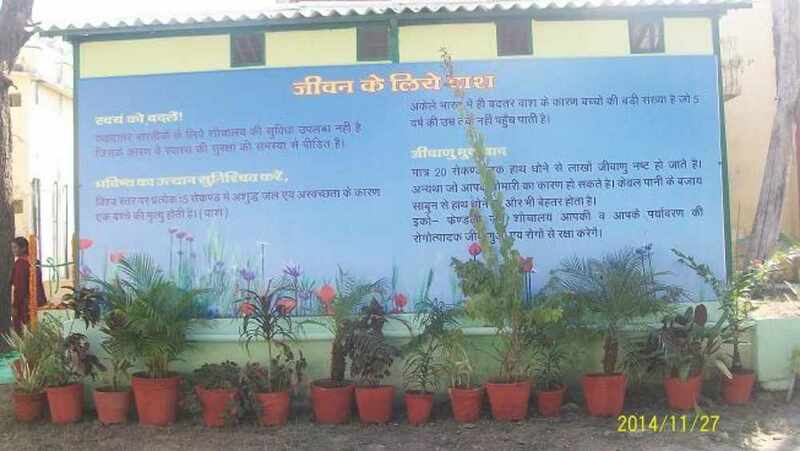 Educational material – posters, handouts, etc. 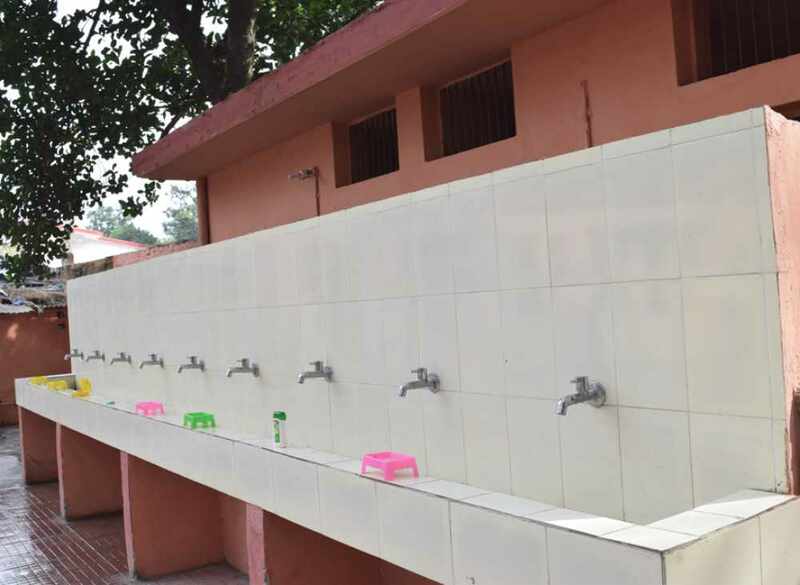 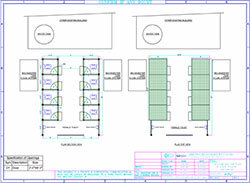 on handwashing and other issues related to sanitation and hygiene will be provided. 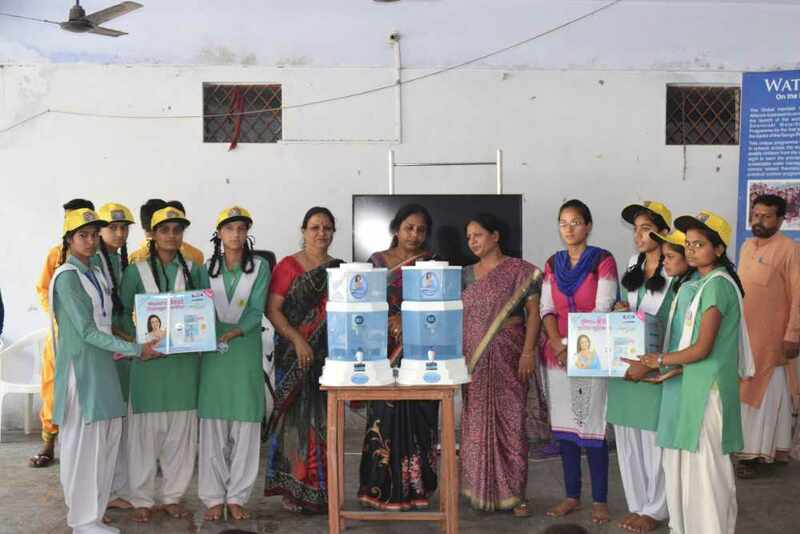 Programs will be planned and implemented through which each school and training center receives education about WASH and (for the girls and ladies) menstrual hygiene. 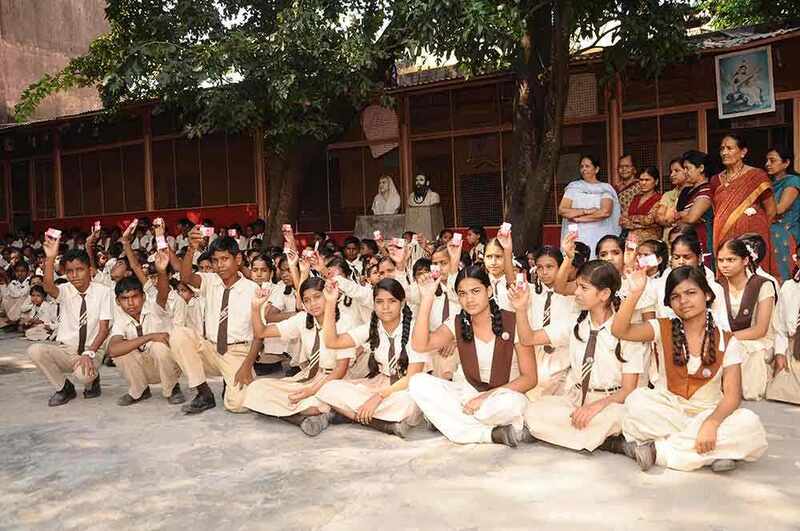 Short films will also be shown in the schools, training centers and also during the weekly medical camp visits. 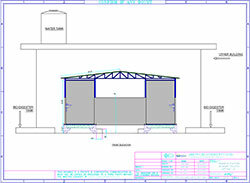 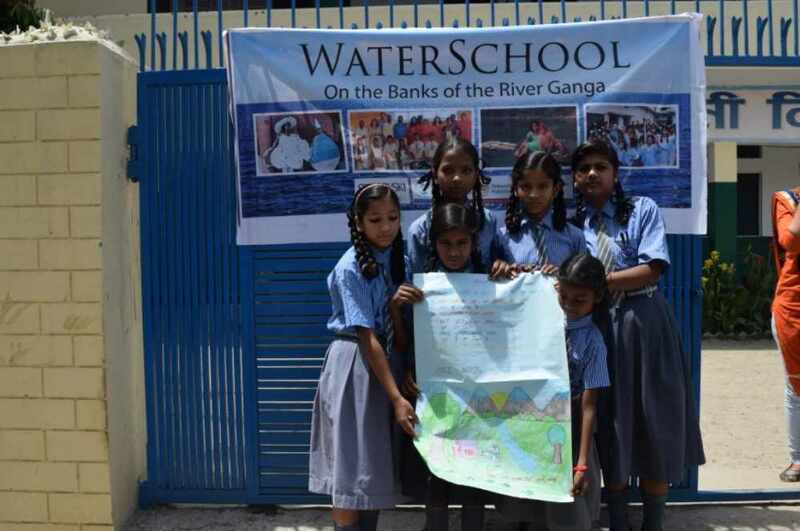 CLICK HERE TO VIEW PHOTOS FROM ALL OF WASH PROJECTS. 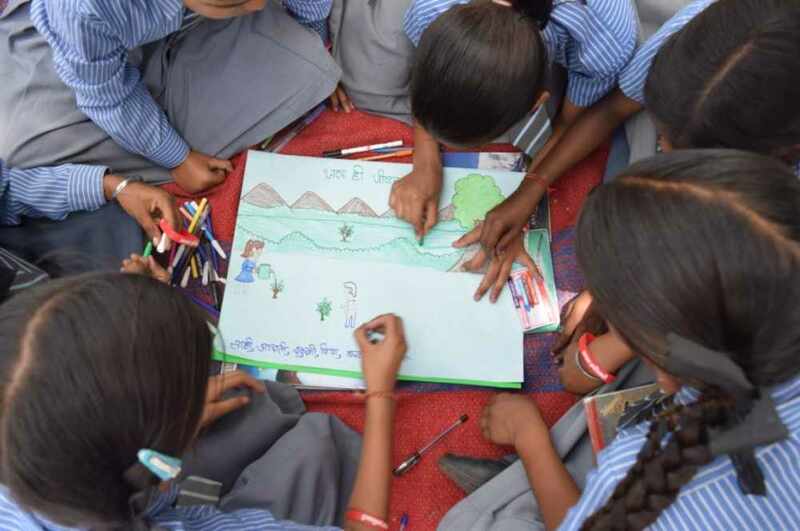 DSF and GIWA are working together to bring together Asha health workers, women from the local communities, villages and students to train them as Sanitation Ambassadors in several courses year round. 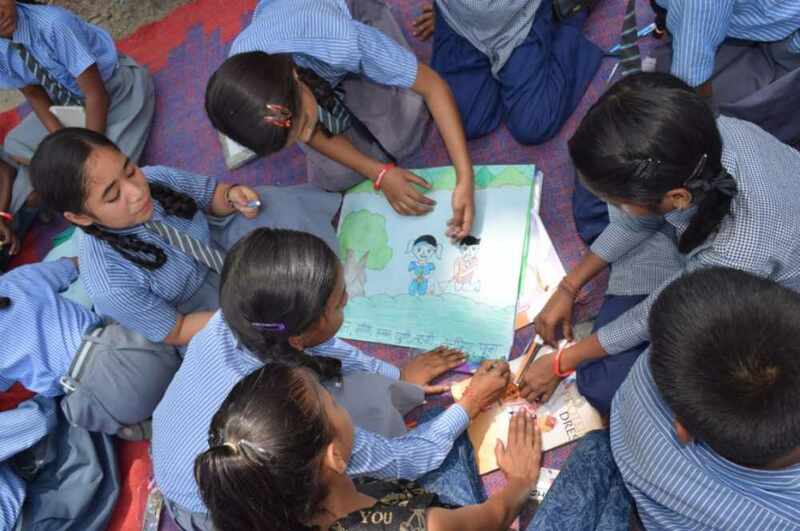 DSF is engaging and involving its established and strong school and community networks to invite them to receive vital training that will help them become Sanitation Ambassadors in their communities. 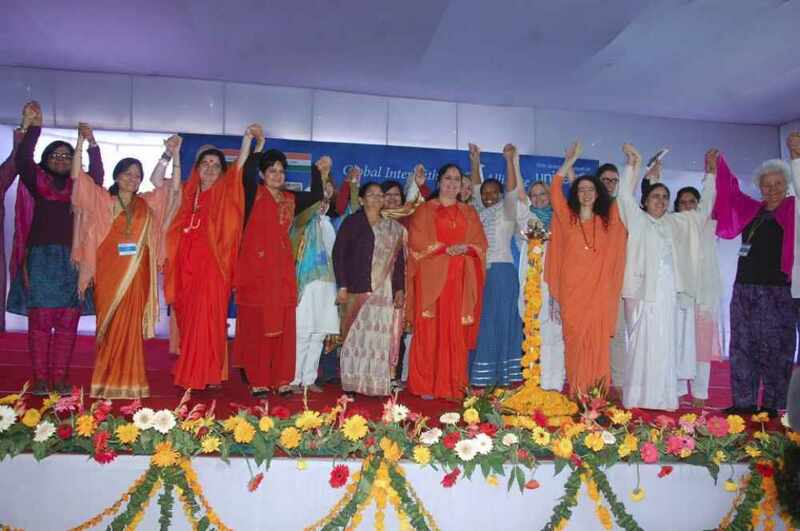 GIWA through its expert trainers and professionals realizing the dream of a Swachh Bharat (Clean India). 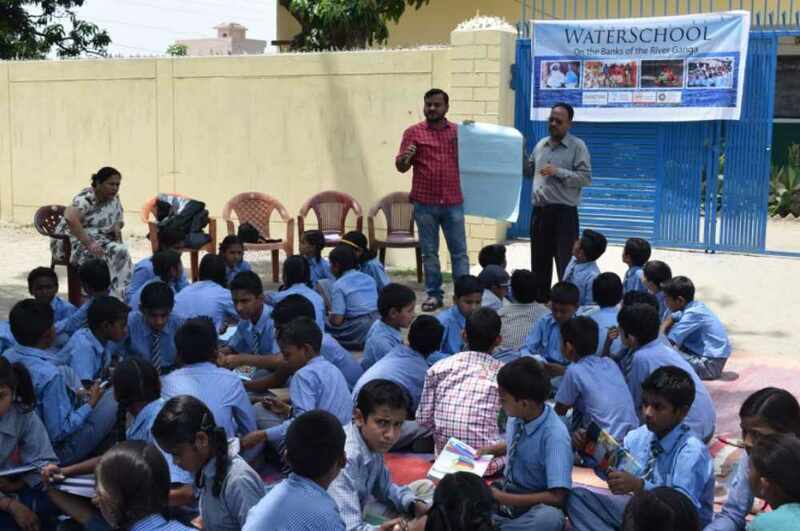 During the training with the students, they were divided into groups, which were assigned the tasks of going to classrooms, playgrounds, toilets, hand washing stations and drinking water sources and writing down their observations on the WASH-related problems found there, with their likely solutions. 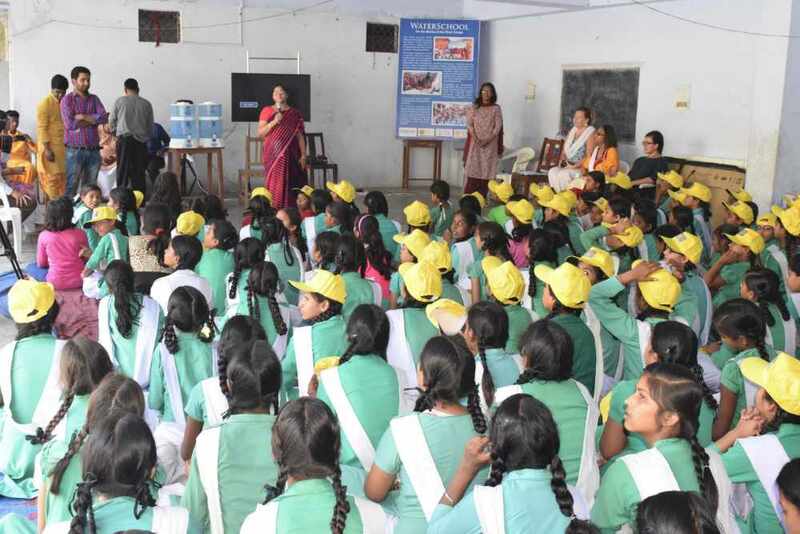 The students, from Rishikesh’s Government Intermediate College in Laxman Jhula, took a very active part in the group work and presented their findings along with proposed action plans plan in front of all assembled. 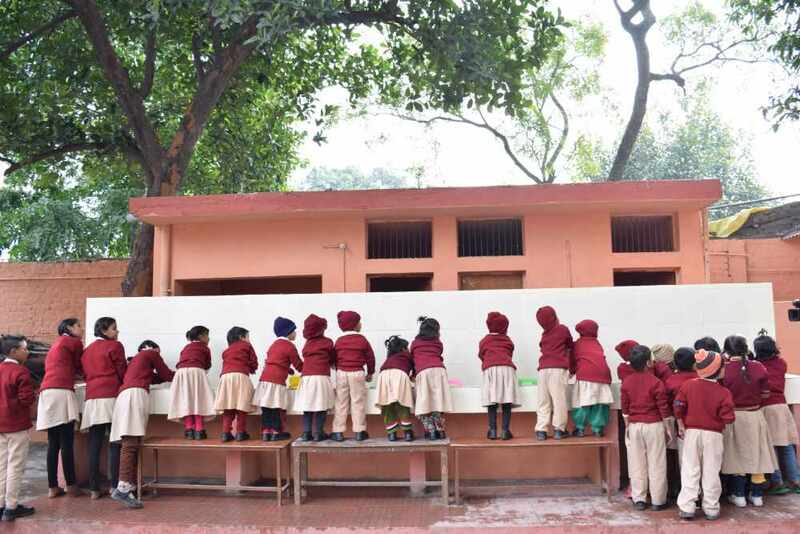 They also expressed a demand for another such class in the near future. 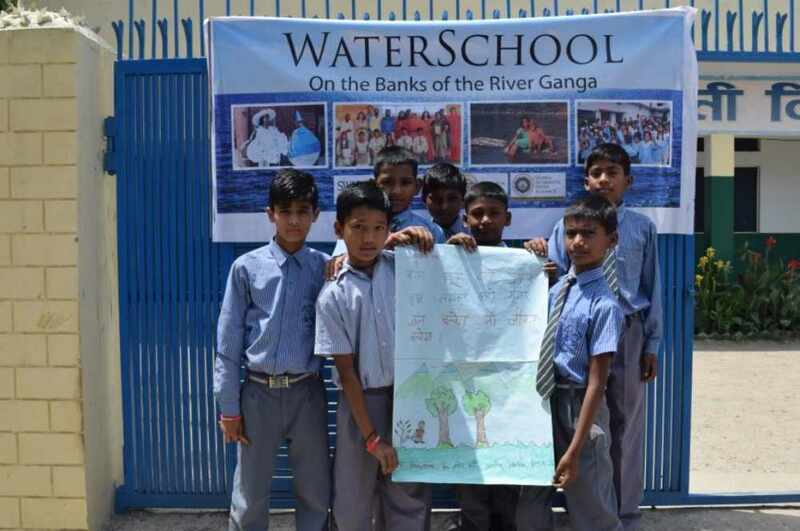 DSF is working with the Global Interfaith WASH Alliance (GIWA) to educate schools and communities alike on the importance of proper hygiene and sanitation. 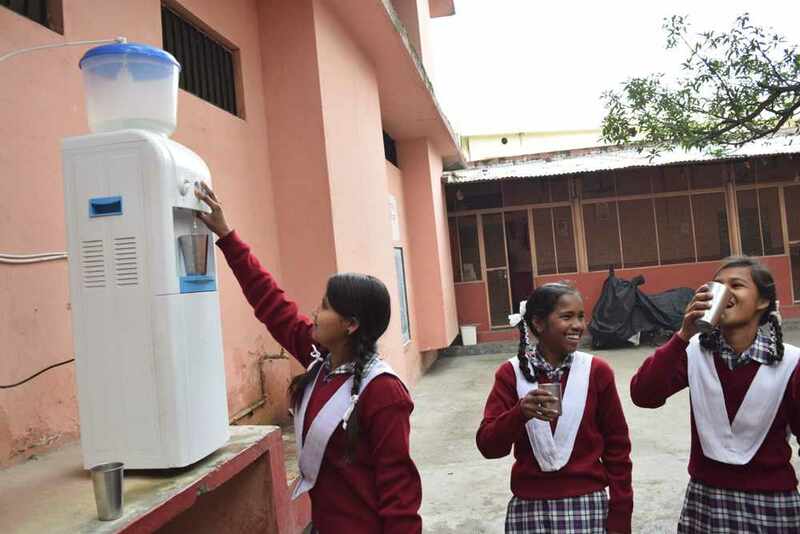 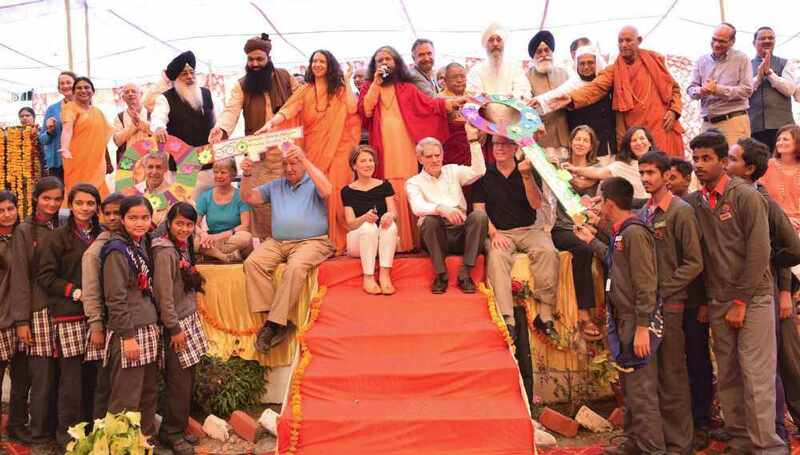 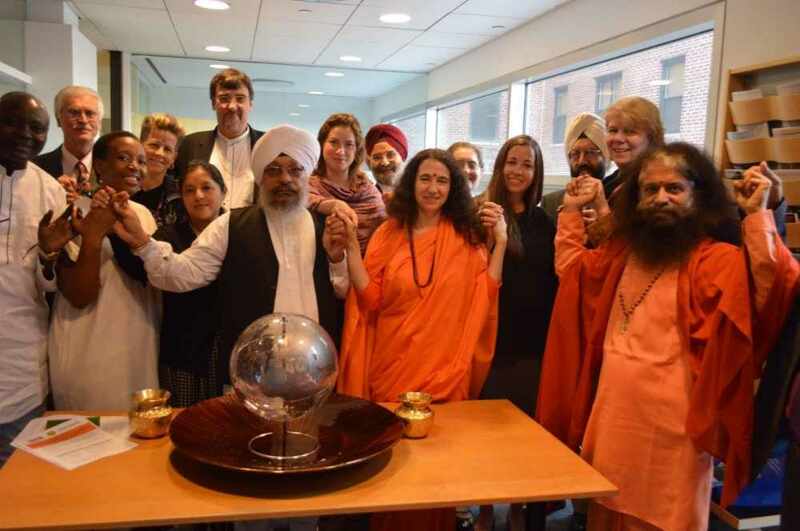 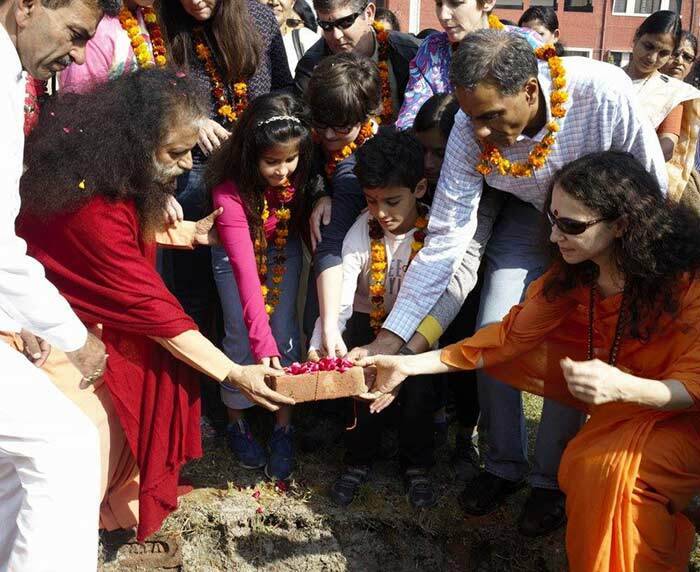 Divine Shakti Foundation, the Global Interfaith WASH Alliance and other partners will be working with the state of Uttarakhand, India to help inspire the bringing about of clean water filtration systems for every school in the state. 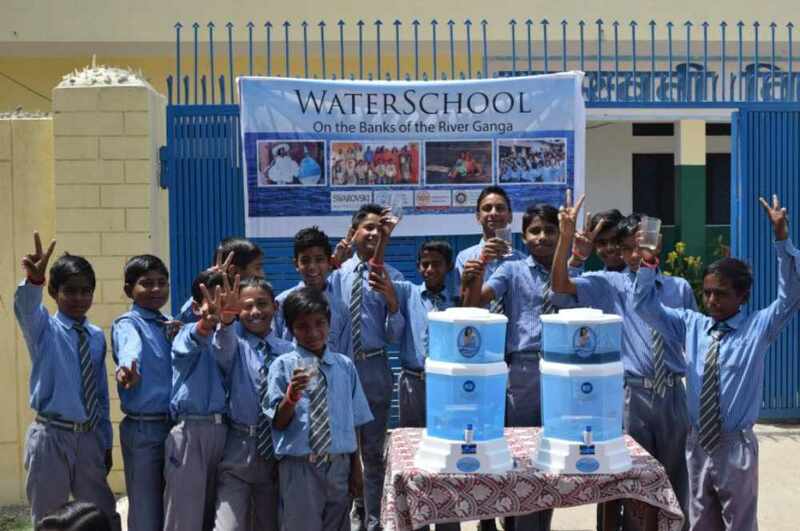 The water filtration systems, including bio-sand water filters as well as other water cleaning technologies such sanitizing tablets and portable water filters, are made possible through GIWA/DSF partners, the South Asia Fresh Water Initiative, Friendly Water for the World and others. 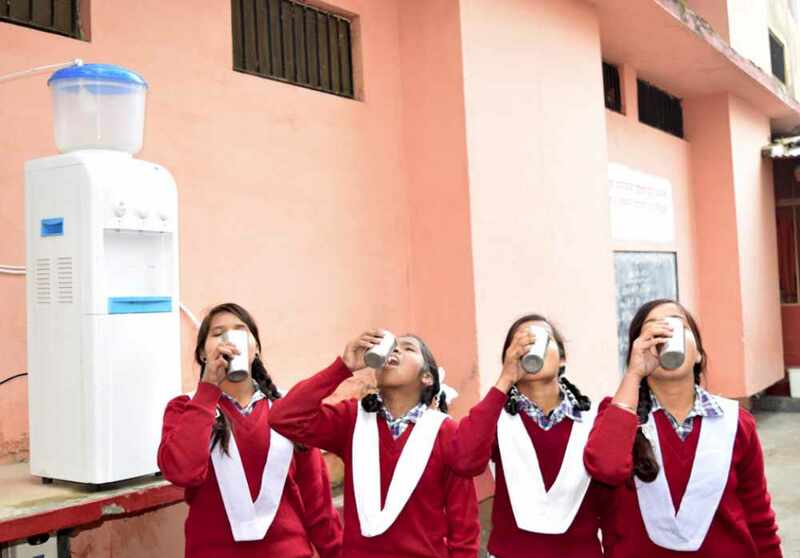 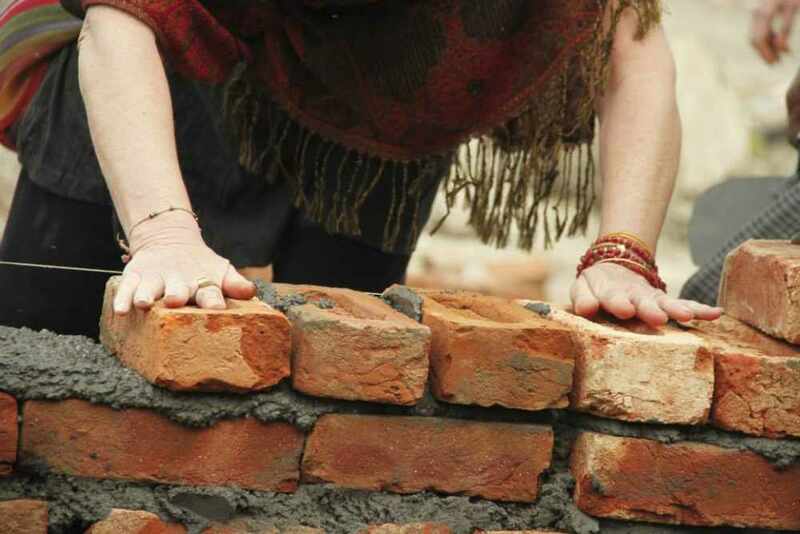 Taking the lead in producing the water systems will be women, including widowed survivors of Uttarakhand’s 2013 floods, so that they may be uplifted and empowered. 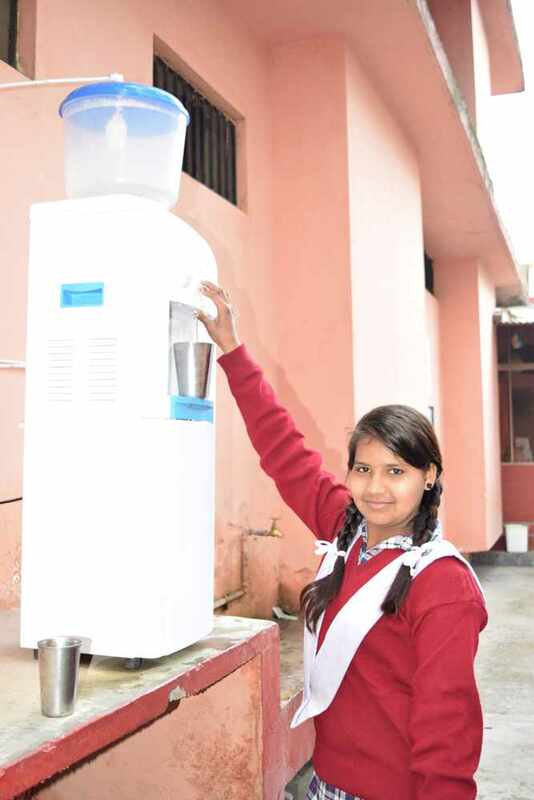 LEARN MORE ABOUT THE WATER SYSTEMS HERE. 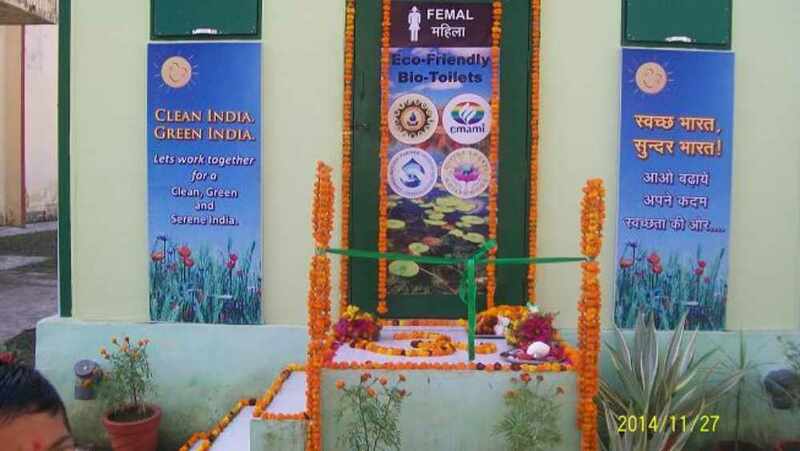 A Reedbed Filtration system was inaugurated at Parmarth Niketan, sponsored by the generous contributions of the Emami Foundation, to offer tertiary treatment to the treated waters of the Bio-Digester toilets, which had been installed two years ago in partnership of FICCI and DRDO. 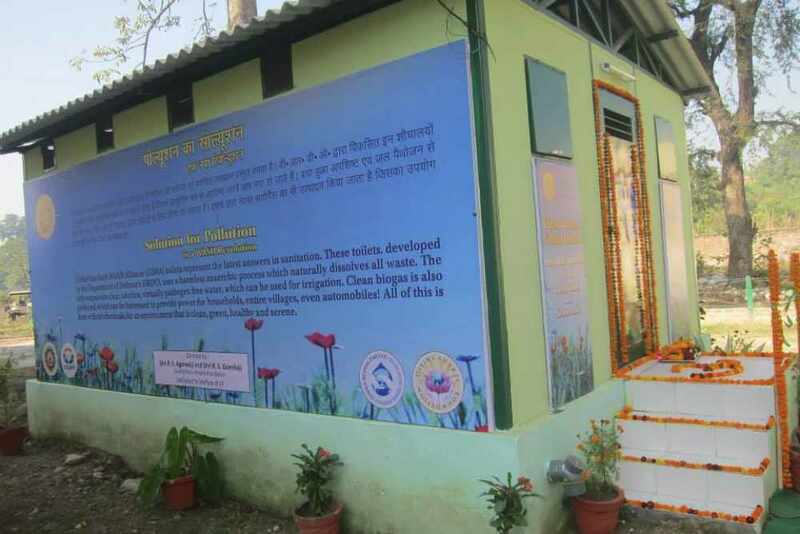 The system is a symbol of how institutions all over India can not only effectively treat their sewage water, but turn a great bane into a great boon by reusing the treated water for irrigation/gardening and harnessing the methane gas for energy. 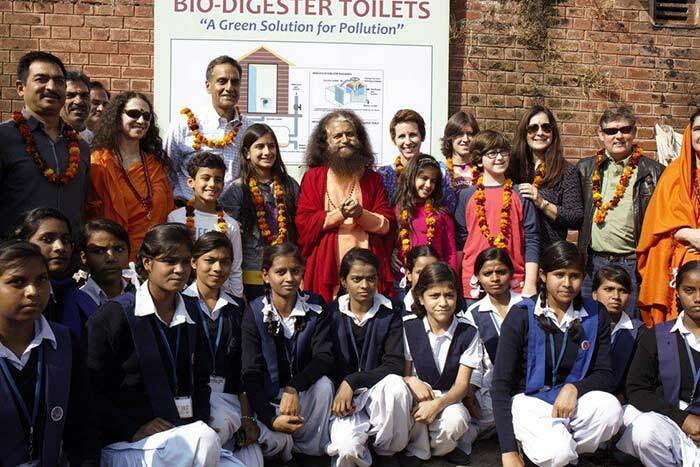 By employing simple, cost-effective and efficient technologies, such as Bio-Digester toilets, Bio-Sand filters and Waste to Energy systems, at decentralized locations, we can revolutionize solutions to the pollution which challenge India’s stable and consistent progress and growth. 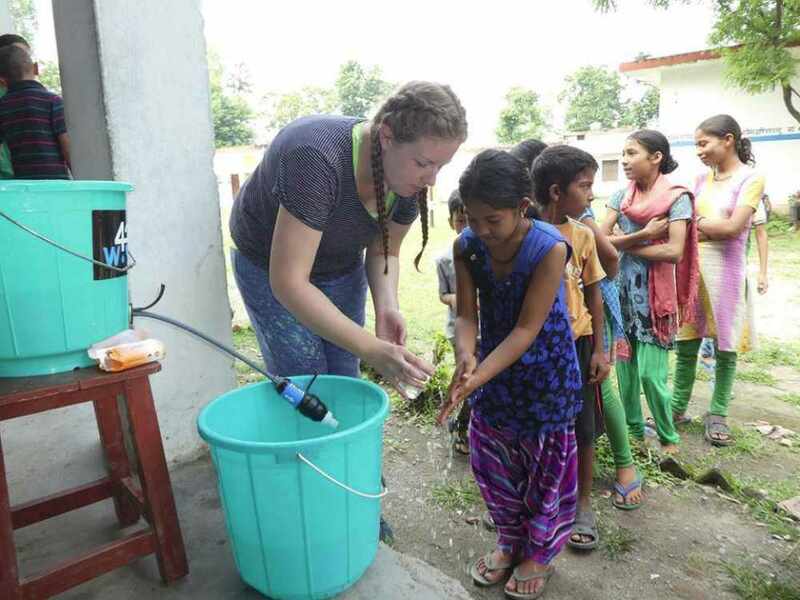 A majority of our world’s childhood sicknesses and deaths are due to the lack of good water, sanitation and hygiene, and many of these deaths can be prevented through the simple act of proper hand washing. 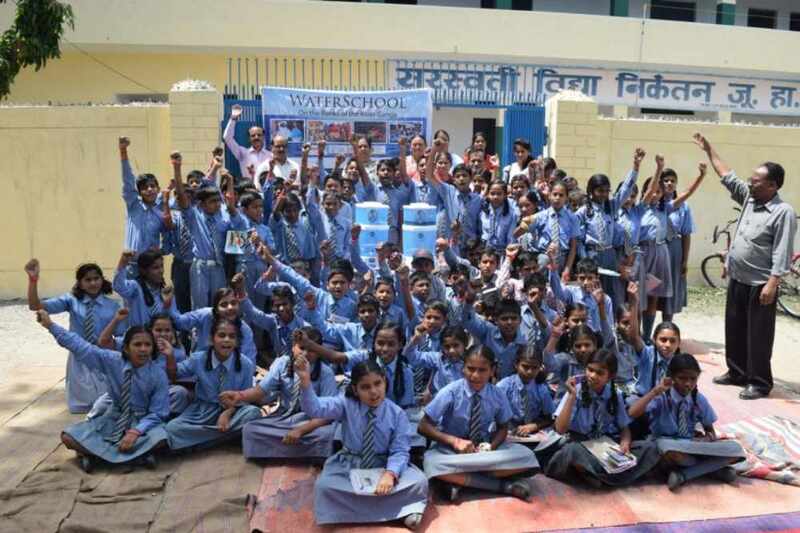 DSF is working in schools to educate children on the crucial importance of hand washing with soap. 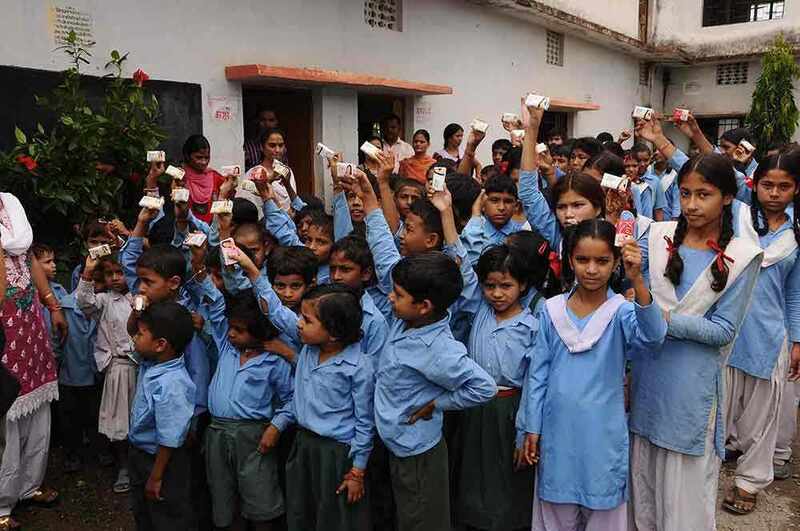 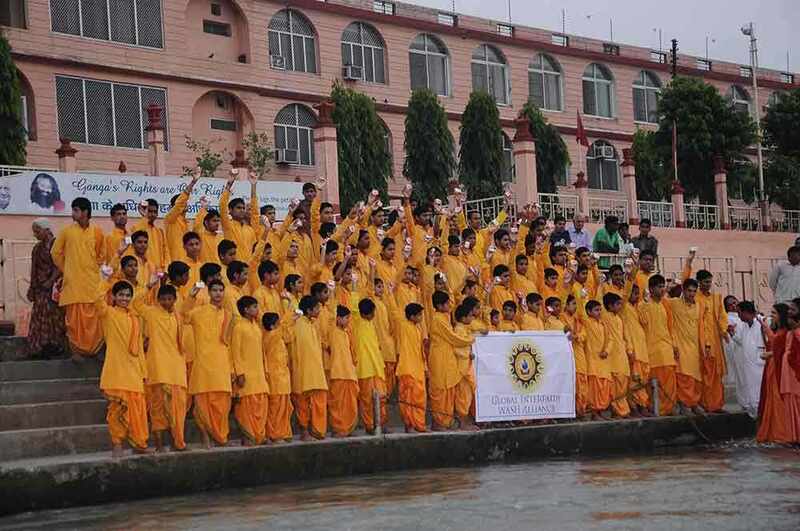 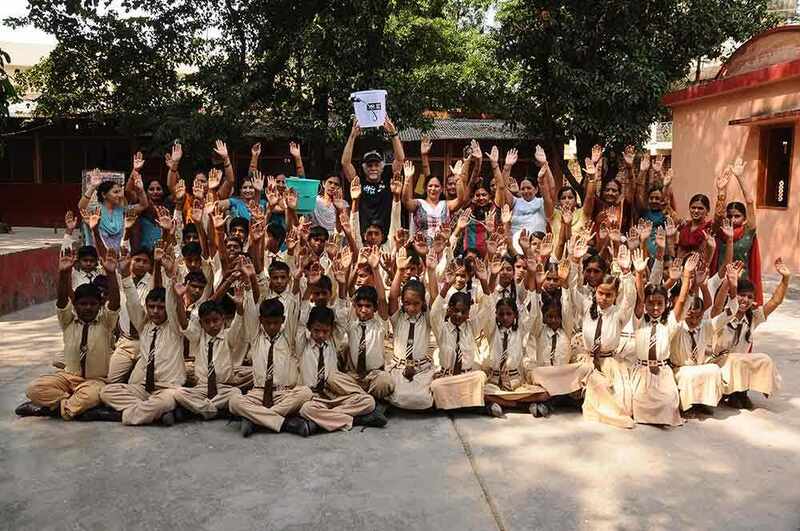 DSF has distributed bars of soap throughout the schools it supports in Rishikesh to all. 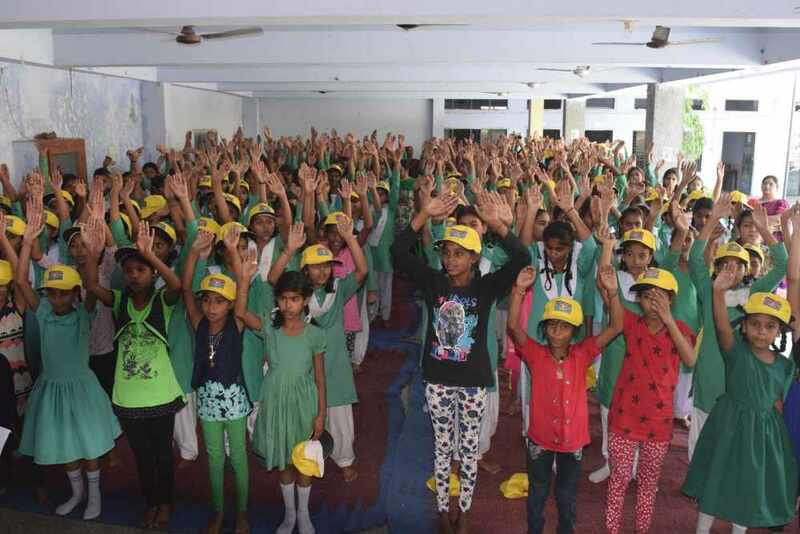 Students there have pledged not only to follow the principles of proper handwashing but to teach and share that life-saving information in their families and villages. 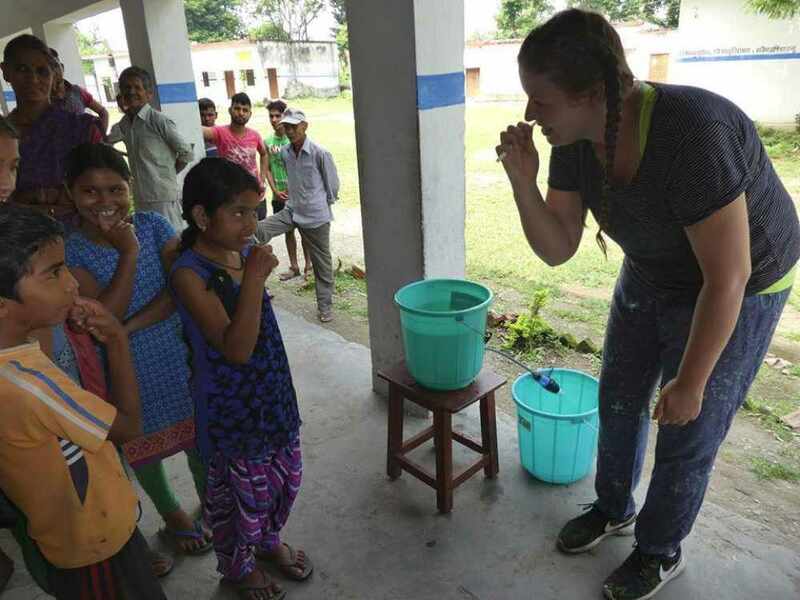 During DSF’s free medical camps in Rishikish and the surrounding villages of the Himalayas, DSF volunteers take time during each camp to educate the local people, especially children, how the value of proper hygiene and sanitation. 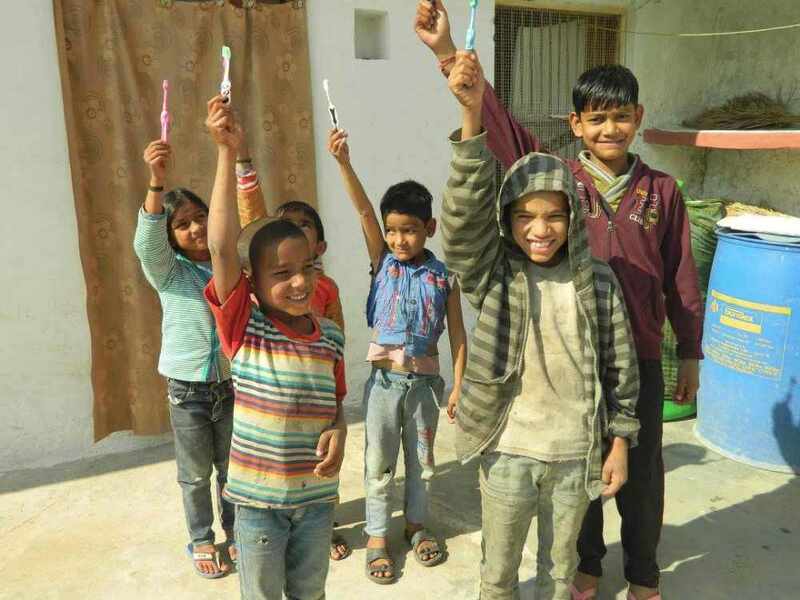 Volunteers teach the children how to correctly brush their teeth and wash their hands, and give out toothbrushes and soap to all. 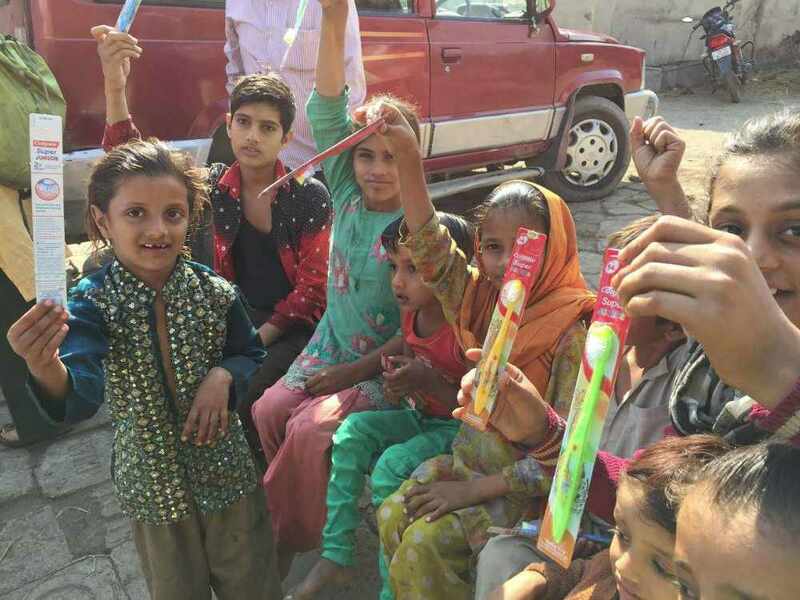 CLICK HERE TO LEARN MORE ABOUT DSF’S FREE MEDICAL CAMPS.